The next time you think about tackling a hard problem you really care about, but hesitate because the odds are long – I hope you’ll remember this story. Alexandra “Alex” Scott was born in Connecticut in 1996. Before she turned one year old, she was diagnosed with infant neuroblastoma, a type of childhood cancer that attacks nerve cells and is hard to treat. Her first lemonade stand raised $2,000. It led to Alex’s Lemonade Stand Foundation. Alex continued her lemonade stands project throughout her life, and eventually she raised over $1 million toward cancer research! Alex lost her fight. She died in August 2004; she was only 8. 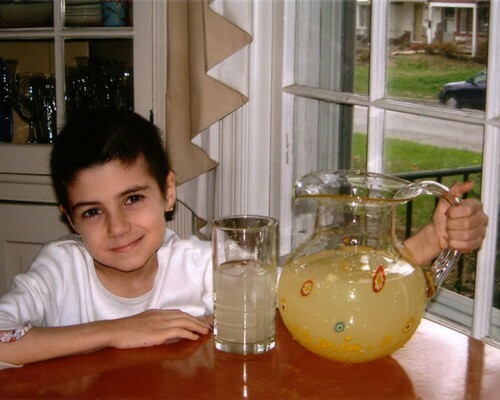 Today, Alex’s Lemonade Stand sponsors a national fundraising weekend every June called Lemonade Days. Each year, 10,000 volunteers at more than 2,000 Alex’s Lemonade Stands around the nation make a difference for children with cancer. Some $80 m. has been raised so far. As they say – that’s not chopped liver. Life gave Alex lemons…and she literally made lemonade, giving new meaning to that old cliché. 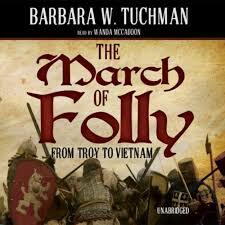 Barbara Tuchman’s book The March of Folly, about historical stupidity of leaders, starts at Troy and ends at Vietnam. But the March continues, unabated, ever stronger. In 2012, according to the Stockholm Peace Research Institute, the world spent about $1.8 trillion on weapons and defense spending. Imagine what we could do with those resources, if the world declared peace instead of war? According to TIME magazine, America’s new Ford class aircraft carriers cost $13.5 billion each! They are outfitted with F-35 fighters, which each cost….$160 million! And they are probably worthless. Because these carriers are built to stand against China. China has DF-21D missiles that have a range of 1,500 km. and can easily sink a carrier. So the carriers have to stand off China, out of range. But that puts their F-35 aircraft out of range of China, because F-35 planes have a range of 1,100 kms. So, where is the folly? We are building very very expensive aircraft carriers, which have even more costly airplanes, that from the outset are of no use. The March of Folly continues. And we are all culpable, because we all pay taxes, and support those leaders who see wisdom and caution in folly. 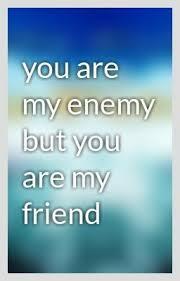 Geopolitics: The enemy of my enemy is my enemy? My friend? Both? Are you having trouble understanding what’s going on in the world today? Global geopolitics? You’re not alone. Most of us are out to sea. Writing in the International New York Times today, Peter Baker explains why. ● America battles Russia over the Ukraine, but joins with Russia to get Iran to de-nuke. ● America tangles with Iran over its nukes, but supports Iran in its battle against the Sunni ISIS insurgency in Iraq. ● America battles Egypt over its lack of democracy, but John Kerry flies to Cairo to get Egypt’s help in arranging a Hamas-Israel cease-fire. ● Israel bashes Hamas, but, not TOO much, because removing Hamas would bring Salafi or Sunni ISIS extremists, who might be worse. ● America spies on Germany, but seeks Germany’s help in battling Russia in the Ukraine. How in the world do you run a coherent foreign policy in this jumbled complex confusing world? If you think President Obama looks rather tired and perplexed these days, perhaps you can understand why. Two more years, Barack. And then, you can REALLY improve your golf game. One of the wisest persons I know is Biliahari Kausikan, formerly Permanent Secretary of Singapore’s Foreign Ministry, and now Ambassador at Large. He has an exceptionally clear view of global and Asian geopolitics; I’ve been ranting and nagging him for years to write a book, or at least a regular blog. Here, for my readers, is an excerpt from his recent document “A World in Transformation”. The world is undergoing a profound transition of power and ideas. The modern international system was shaped by the West who prescribed its fundamental concepts, established its basic institutions and practices and influenced all major developments. That era is now drawing to a close. No one can predict the future and we do not know what will replace the western dominated system. But we can at least glimpse some of the issues that will have to be confronted. Washington and Beijing are now groping towards a new modus vivendi. Neither finds it easy and establishing a new equilibrium will be a work of decades and not just a few years. Sino-US relations are already the most important bilateral relationship for East Asia, setting the tone for the entire region. As the 21st century progresses, Sino-US relations will become the most important bilateral relationship for the entire world influencing almost every aspect of international relations, just as US-Soviet relations did during the Cold War. The Chinese government and people are rightly proud of what they have achieved. Never before in history have so many people been lifted out of poverty in so short a time. Still it would be a dangerous mistake to try to understand the global and regional transitions that are underway by simplistic slogans such as ‘Asia rising, the West declining’ as some Chinese intellectuals and even some officials occasionally come close to doing. The changes in the distribution of power that are occurring are relative not absolute. The global patterns of trade, finance, investments and production chains that have evolved as a result of East Asian growth cannot be characterized by geographically defined dichotomies. Many economic roads now pass through China and many more will in the future. Nevertheless the final destination is still more often than not the US or Europe. China is certainly rising. But it is always a mistake to believe one’s own propaganda and the west and in particular the US is not declining. All who have underestimated American creativity, resilience and resolve have had cause regret it. Two competing visions of regional order are in play: a Sino-centric vision built around the ASEAN plus Three (APT) forum which comprises the ten Southeast Asia states with China, Japan and South Korea, and a broader and more open architecture built around the East Asia Summit (EAS) which is the APT with the addition of the US, Russia, India, Australia and New Zealand. Given the growing centrality of East Asia in the world economy and the strategic weight of the US and China, the outcome of the debate over a new East Asian architecture will be the single most important influence on the global architecture of the 21st century. This is the strategic significance of what has been dismissed by western observers who do not really understand what they observe, as talk shops. No option has yet been foreclosed. Both the APT and EAS are experiments. But China’s preference is clear. Can You Come Out to Play? WILL You? I’m married to a very smart psychologist, who is an expert on children and play; as a result, I get to read many interesting, sometimes wonderful, articles. 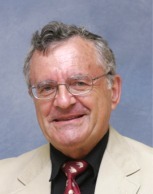 The latest is one published in 2007, by L.A. Barnett, titled “The nature of playfulness in young adults”. The purpose of the article was to see if the term “playfulness” could become a valid “construct”, i.e. a clear, well-defined concept recognizable by all and useful for further research. To this end, the author used focus groups of adults. The result: A rather long, but insightful, definition of “playfulness” in adults. Here it is. Read it. See if you have these qualities. Why? Because, as the author notes, “playful people are uniquely able to transform virtually any environment to make it more stimulating, enjoyable and entertaining.” Want an extreme example: Roberto Benigni’s Life is Beautiful, a film about a father who made life in a Nazi concentration camp into a game, for his young son (Academy Award, Best Actor 1999). Playfulness is the predisposition to frame (or reframe) a situation in such a way as to provide oneself (and possibly others) with amusement, humor and/or entertainment. Individuals who have such a heightened predisposition are typically funny, humorous, spontaneous, unpredictable, impulsive, active, energetic, adventurous, sociable, outgoing, cheerful, and happy, and are likely to manifest playful behavior by joking, teasing, clowning, and acting silly. Do any of those adjectives describe you? Yes? No? If no – do you want them to? If so, you can definitely change. Just remember how you played when you were a child, and copy yourself as you once were. What does this have to do with innovation? “Reframing” (seeing the same thing differently from others) is a key part of playfulness, and a key aspect of creativity. If you can ‘reframe’ to play, you can reframe to create. L.A. Barnett. 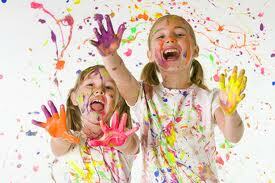 The Nature of Playfulness in Young Adults. Personality and Individual Differences, 43 (2007), pp. 949-958. The two major weekly news magazines, TIME and The Economist, each analyzed the U.S. economy in their most recent issues. TIME’s take: A two-page spread headline, reading, in 120-point, Surprise: The Economy isn’t as bad as you think; 7 signs America has turned the corner. It is by Roger Altman, an investment banker who was deputy undersecretary of the Treasury, under President Bill Clinton. The Economist’s take: A brilliant cover showing a jockey riding a … tortoise, headlined: America’s lost oomph: Why its long-term growth rate has slowed. Here are the arguments. You judge. Altman: 1. Americans are spending more; 2. Housing has come back, with a 26% average increase in home prices in 20 key metro areas since April 2012; 3. Manufacturing is returning home to America; 4. Energy production is booming; in 2015 America will be the world’s leading oil producer! 5. The environment is improving. 6. American schools are working smarter; 7. Social trends are moving in the right direction; 80 % of high school students graduated, up from 73% in 2006. They’re both right. There ARE ‘upticks’ in America, as Altman claims. He searched really hard for them; and he has a strong interest in optimism, because investment banking is built on it. But The Economist too is right. Long-term, it’s hard to see America growing much faster than its anemic 2.0 – 2.5 percent, without a boom in innovation that drives productivity. Conclusion? That old half-full half-empty cup? Drink the water. 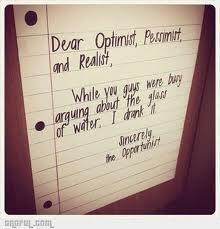 Find opportunities, while the optimists and the pessimists are haranguing one another. Not only does it take two to tango — it probably takes two to INVENT the tango. 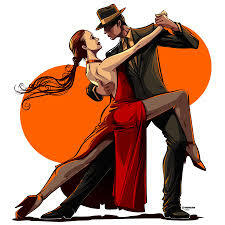 Tango probably comes from the Latin tangere, to touch, and it is a wonderful dance that was invented along the Rio del Plate, on the border between Uruguay and Argentina – and spread from there to the world. Writing in the Global New York Times today (July 21), Joshua Wolf Shenk summarizes his forthcoming book Powers of Two: Finding the Essence of Innovation in Creative Pairs. His main point: The idea of a lone-wolf genius inventing breakthrough things is untrue. Usually great breakthroughs take two people. He brings many examples: Lennon and McCartney; (I would add, Richard Rogers and Lorenz Hart, the wonderful song writing team); Freud and his colleague Dr. Wilhelm Fliess; Martin Luther King and Ralph Abernathy; Picasso and Georges Braque; Picasso and his fierce adversary Henri Matisse (sometimes, creativity emerges not from collaboration but from competition); Einstein and his friend Michele Besso, with whom he walked through the Swiss mountains and discussed his ideas. I strongly believe this is true. When I embarked on writing a book on creativity (soon available as Cracking the Creativity Code), I felt it would be unbalanced, if I wrote it solo, as I had mainly an academic background. So I sought out my former student and current friend, Arie Ruttenberg, whose legendary creativity built a powerful ad agency. It was a wonderful collaboration, and our book was far better than if either of us had written it alone. By the way, we chose to preserve our individual ‘voices’ in the book, and hence identify the author of each chapter. “The core experience of … one entity helping to inspire another is almost always true,” Shenk notes. I agree. So – if you seek ideas, if you have ideas, find a great partner. Preferably, someone very different from you. You’ll see – it will greatly enrich your creative productivity. My career has been spent largely in Academe, producing ideas and words, words, words. This is why I greatly admire those who generate ideas – and implement them to change the world. This is what two creative distinguished British persons, Prof. Richard Layard, an economist, and expert on labor economics and cost-benefit analysis, and David M. Clark, a clinical psychologist and expert on CBT (cognitive behavioral therapy). They note that in Britain, 1 of 6 adults suffer from depression or crippling acute anxiety disorder. In America, more people commit suicide than are killed in road accidents. 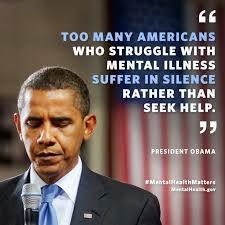 The World Health Organization notes that 40% of all illness in the world – is mental illness. And it CAN be treated. Layard and Clark note that 50 per cent of those treated with CBT, cognitive behavioral therapy (an effective short-term therapy, in which patients are helped to know and understand their affliction, then engage in behaviors that mitigate or eliminate it), recover. The best part of all this? After Layard and Clark’s intervention, Britain’s Health Minister acted, implementing a program known as “Improved Access to Psychological Therapies”, described in Nature magazine as “world-beating” and copied by other nations. Creativity is not just having an idea. It is working with skill, persistence and courage to implement it. Layard and Clark did. In contrast, we have President Obama, who, like me, is an outstanding producer of words, words, words, words…..
For an inspiring account of creative discovery and creative delivery, read their book Thrive: The power of evidence-based psychological therapies, Penguin: London 2014. American artist Jeff Koons, who is 59, has at last been accorded a full-career survey show in a U.S. art museum (the Whitney Museum of American Art, which has had to empty most of its exhibits to accommodate Koons’ work). Who is Jeff Koons and what can we learn from him about innovation? First, think different. Koons makes art out of ordinary objects. One of his sculptures is a set of four Hoover vacuum cleaners, in a plastic case. But that’s not art, many will say. Well, it is, if you’re willing to open your mind to rule-breaking art. It is what innovation and creativity represent as well – the excitement of making art and sharing ideas. Creativity in any field is (or should be) “autotelic”, a word meaning, self-generating, self-causing, from “telos”, Greek for cause, and auto, self. Koons father owned a furniture store in York, Pa., an industrial city that lost its industry. There, Koons learned about the power of ordinary objects to become art. One of his famous sculptures is a basketball, in a blue-glass aquarium; the ball floats precisely in the middle of the tank, because Koons found just the right combination of distilled water and salt water to make that happen. In general, he is a stickler for detail. 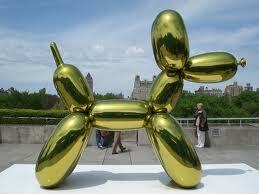 He has a team of 130 people in his art studio who produce works of art according to Koons’ specification. His studio even invented its own steel alloy. As you can imagine, Koons was ridiculed early in his career. He stuck to his guns. He went broke several times, to pay for the huge cost of preparing his sculptures precisely as he wished. Koons says he has had very few exhibitions in the United States, although he is known and popular abroad. Perhaps, as he turns 60, his own country will at last recognize his work and creativity. My wife Sharona and I are at a school psychology conference here in Kaunas, Lithuania. While enjoying supper at an outdoor café, Sharona (who has very sharp observational skills) spotted these upside down flower pots and photographed them. So, what exactly is this about? Creativity is widening the range of choices. You can plant flowers in a flower pot conventionally. 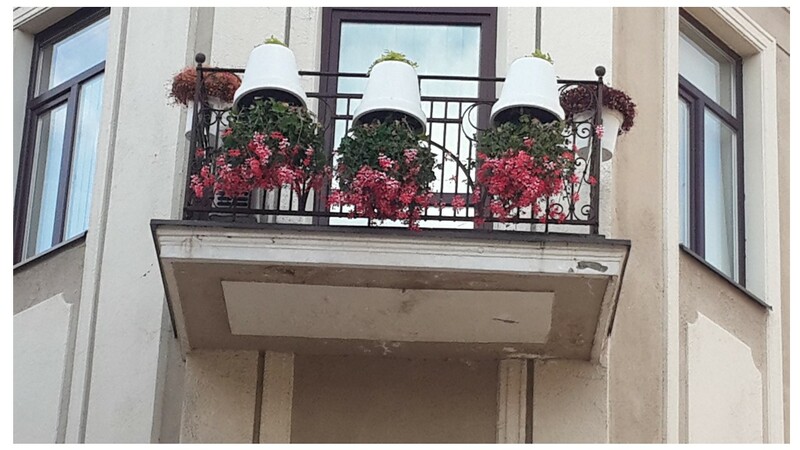 Or, like the clever people in this apartment, you can take the flower pot, put holes in the bottom so that the roots poke through and ‘grab’ the pot, then put a lid on the pot — and hang them on your balcony, upside down. Because, that way, you get to see much more of the beautiful flowers and leaves, instead of just the big ugly pot. Think different. Do things different. Can you do something upside down? A French cook did, she invented tarte tatin, which is simply apple pie, but with the crust on the bottom instead of on the top. It’s delicious. Israel’s first Prime Minister David Ben Gurion liked to stand on his head, believing it was healthy. He was the Upside Down Prime Minister. Lots of small children love to do that. And sometimes, I love to have an upside down meal – first, dessert, then the meal. Try it.